Earlier today, I was very confused to see that the Westminster Parliament is still sitting and conducting business. After all, MPs voted by a huge margin — well above even the two-thirds super-majority — to go to an early general election pursuant to the Fixed-Term Parliaments Act. I committed the fallacy of mirror-imaging by presuming that the Mother of Parliaments would proceed with this matter in the same way that her wayward child the Parliament of Canada would. Here when the government loses a vote of confidence in the Commons, the House adjourns itself, and the Prime Minister typically advises the Governor General to dissolve parliament and issue the writs for a general federal election later that same day. But this is not the case in the United Kingdom. First, I shall review the process of dissolution in the United Kingdom and then delve into the “Wash Up,” the week or two between a loss on a vote of confidence (or, in this unprecedented case, the successful passage of the motion to hold an early general election under the Fixed-Term Parliaments Act) that comes before dissolution and the general election. The Fixed-Term Parliaments Act, 2011 — a piece of legislation whose radicalism is frequently under-estimated — has put the British Crown’s authority over dissolution into abeyance again, such that neither the Queen nor the Prime Minister and Cabinet play any role whatsoever in dissolving parliament. The new British procedure under the Fixed-Term Parliaments Act, 2011 first played out for the general election of 2015. It includes three steps for dissolving the parliament, issuing the writs of election, and summoning the next parliament, but the first now flows from the authority of The Fixed-Term Parliaments Act itself and therefore no longer stem from the executive authority of the British Crown. First, Parliament dissolves by efflux of time in accordance with section 3(1) of the act. Second, pursuant to section 3(3), the Lord Chancellor and the Secretary of State issue the writs of election for the United Kingdom of Great Britain and Northern Ireland’s 650 constituencies. Once Parliament dissolves, the Lord Chancellor and, in relation to Northern Ireland, the Secretary of State have the authority to have the writs for the election sealed and issued (see rule 3 in Schedule 1 to the Representation of the People Act 1983). Third and finally, the prime minister advises the Queen to issue a proclamation summoning the next parliament on a certain date, now in accordance with section 3(4)(a). Once Parliament dissolves, Her Majesty may issue the proclamation summoning the new Parliament which may— (a) appoint the day for the first meeting of the new Parliament. As the Cameron-Clegg government stated in this press release in 2015, “Parliament has been prorogued and will automatically dissolve on 30 March under the Fixed-term Parliaments Act.” It adds, “The prime minister will ask Her Majesty to summon the new Parliament to meet on Monday 18 May,” which means that the Queen still summons the new parliament on the prime minister’s advice – but this authority now flows from section 3(4)(a) of the Act and no longer purely from the prerogative. The London Gazette records the proclamation summoning the next parliament for 18 May 2015. The proclamation also reiterates that the Lord Chancellor shall issue the writs of election. 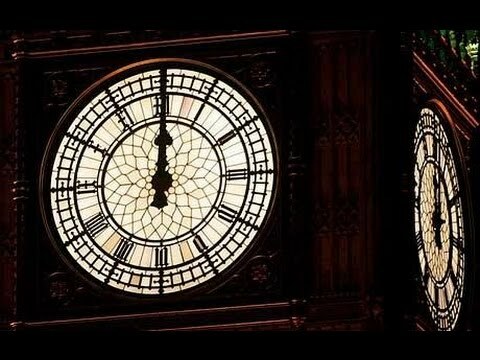 The Fixed-Term Parliaments Act, 2011 put the executive authority over dissolution into abeyance; the Westminster Parliament can now ordinarily be dissolved only by efflux of time, or in two extraordinary circumstances set out in the statute, by the will of the House of Commons itself. Section 2 of the Act outlines these procedures. In one case, parliament may be dissolved early if two-thirds of MPs pass a motion “That there shall be an early parliamentary general election.” In the other case, if the Commons votes non-confidence in Her Majesty’s Government by simple majority (“That this House has no confidence in Her Majesty’s Government”) but subsequently fails to pass a confirmation vote for a new government (“That this House has confidence in Her Majesty’s Government”) within 14 days, then Parliament shall automatically dissolve in order to break the deadlock. The defeated government would remain in a caretaker capacity during the ensuing election and until the new Parliament meets and passes a confirmation vote in favour of a new government. But the Queen no longer dissolves parliament on the advice of the prime minister or under any circumstances whatever. This “wash up” phase speaks to the maturity of British parliamentary traditions and shows that British parliamentarians can compartmentalize their functions better than ours can. The opposition can vote down the government — or, in this case, support the government’s motion to go to an early election — without all the omnipresent bitter acrimony that we saw in Canada in 2005 and 2011, when the Commons defeated the Martin government and Harper government, respectively, on motions of non-confidence. In 2005, the House adjourned immediately after the Martin government lost a vote of confidence on division. The same pattern held in 2011. Prime Minister Harper moved a motion to adjourn proceedings immediately after the government lost a vote of confidence on division. Our parliaments never met again. All legislation died on the Order Paper. Prorogation by ceremony in parliament assembled, instead of by proclamation, used to be the norm in Canada as well. The Governor General or Deputy Governor General would preside over a ceremony in the Senate, grant Royal Assent to all bills passed in that parliamentary session, and then prorogue that session by a closing speech from the throne analogous to the speech from the throne that opens a session of parliament. Parliament would remain prorogued for a few weeks or months, and then the Prime Minster would advise the Governor General to dissolve it, as with the 14th Parliament. The year 1979 provides an interesting study in contrast because it just so happened that both the Prime Minister Callaghan’s Labour government and Prime Minister Clark’s Progressive Conservative government lost votes of confidence. This is a good, direct comparison, because the procedure under the Fixed-Term Parliaments Act did not exist in 1979. Our Houses of Commons followed the same general procedures then. Frankly, this is what a mature country does. Canada is still a petulant, puerile adolescent in terms of its parliamentary development — and it shows. The House of Commons defeated the Clark government on 13 December 1979 thanks to Joe Clark’s unpardonable stupidity and innumeracy. You can see the results from 3:17 to 3:30. Prime Minister Clark then addressed the House briefly the following morning and informed his colleagues that he had spoken with the Governor General, who had agreed to dissolve the 31st Parliament and hold a general election on 12 February 1980. As some of my friends and I have discussed recently, I have to stop holding Canadian parliamentarians to the standard set by their British counterparts; otherwise, I shall remain in a state of perpetual disappointment. United Kingdom, The Gazette: London Gazette, “Dissolution Proclamation,” (London: Crown Copyright, 12 April 2010), issue 59388, page number 6393. United Kingdom, The Gazette: London Gazette, “Proclamations: By the Queen A Proclamation For Declaring the Calling of a New Parliament,” (London: Crown Copyright, 31 March 2015), issue 61188, page number, 6014. Richard Kelly and Nicola Newson, Wash-Up 2010: Research Paper 11/18 (London: House of Commons Library, 11 February 2011), 2. [A] United Kingdom, The Gazette: London Gazette, “Proclamations: By the Queen Appointing Thursday the 8th Day of June 2017 as the Polling Day for the General Election of the Next Parliament,” (London: Crown Copyright, 25 April 2017), issue no. 61912, page number 8774. Canada, Privy Council Office, Manual of Official Procedure of the Government of Canada, Henry F. Davis and André Millar (Ottawa: Government of Canada, 1968), 403. Canada. House of Commons, Debates, 31st Parliament, 1st Session (13 December 1979) at 2362 (Joseph Clark). Canada. House of Commons, Debates, 31st Parliament, 1st Session (14 December 1979) at 2363 (Joseph Clark). In other words, the Queen did sort of dissolve Parliament, but indirectly, through setting a date for the general election (which, unless I am mistaken, is the exact opposite of what used to happen). Furthermore, she did it at the behest of the House of Commons, with the authority of an Act of Parliament, and separately from summoning a new Parliament. It’s different in every respect. A further point about the wash-up in the UK is that it is expected that, if necessary, supply will be granted prior to dissolution to enable the holding of a general election. If memory serves from a book I read on the subject, Australian Governor General Sir John Kerr partly justified his dismissal of Prime Minister Gough Whitlam in 1975 because the partial Senate election Whitlam was proposing would have required the passage of supply (which of course the Senate was blocking). In Canada this has not been the case since the late 1890s (I believe) and special warrants are now used to fund elections if necessary. The wash-up is therefore not at all needed in Canada. The Wash Up doesn’t include only supply bills which in Canada would be covered by Special Warrants. For instance, according to the British Parliament’s website, the House of Commons was debating a “Technical and Further Education Bill” this week, which is not a supply bill. It is also considering a Finance Bill, but it is not correct to say that the Wash Up involves *only* supply bills. The Commons also held debates on the European Arrest Warrant, state pensions, and infectious diseases (which everyone presumably opposes). Agreed. I just wonder if special warrants are an impediment to ever having a wash-up in Canada. I’m always looking for more excuses to abolish them! The Governor General’s Special Warrants might well act as a disincentive to the Wash Up in Canada, since they obviate the need for passing frantic appropriations bills just prior to dissolution. To what extent do the provisions of the Interpretation Act concerning repeals affect the proposition that prerogatives are held in abeyance? I think according to the strict letter of the law the prerogative of dissolution would not revive itself, but in practice political actors might nonetheless endow the Sovereign with the power following a repeal of the FTPA that was silent on the issue of dissolution. Further, if a repeal act granted to the Sovereign the power to dissolve Parliament as previously, could it truly be called a “prerogative”? This is simply a matter of practicality: if the Fixed-Term Parliaments Act were repealed with a statute that says only “The Fixed-Term Parliaments Act, 2011 is repealed,” then the prerogative authority of dissolution would necessarily reassert itself and come out of abeyance because it is the only thing that could then accomplish the necessary task of dissolving a parliament. The Parliament Acts of 1949 and 1911 would then become the most relevant statutes pertaining to dissolution. They define the maximum life of a parliament at five years. Also, the legislative debates on the Fixed-Term Parliaments Bill from 2010 and 2011 make quite clear that if the bill became law but then if later Parliament repealed it, the status quo ante would resume. The FTPA even contains a provision mandating that the Act be reviewed within x number of years, which would provide a good opportunity to repeal it. James has correctly stated it; if a Power delegated by Act of the Westminster Parliament were repealed, then the status quo ante returns — which restores the Crown’s Power. Sovereignty rests with the Crown, and so all delegated powers devolve from the Crown. In Britain, supreme sovereignty rests with the Crown-in-Parliament (Westminster, not Scottish) which can make or repeal any Law. In Canada, this supreme sovereignty is the Crown via a unanimously authorized (all ten Provinces) Constitutional Proclamation. In Canada the British North America Act has reserved all Executive Powers with the Crown, and neither Canada’s Parliament nor Provincial Legislatures can delegate the Crown’s Powers. (In Canada the sovereignty of the Crown in right of the Courts is also constitutionally protected. In Britain the Crown in right of the Court is NOT binding on the Westminster Parliament.) In Britain, the Parliament can delegate any Powers which is why certain members of the House of Lords have the Power to grant Royal Assent. It is not possible for Canadian Senators to grant Royal Assent. Theoretically, the Westminster Parliament could enact a Law to abolish itself, and repeal Magna Charta which would return to the pre-1215 status quo ante of absolute monarchy. The Canadian Parliament cannot abolish itself nor any of its three parts. The Westminster Parliament, however, cannot abolish the Crown. It could only withdraw from the Crown by enacting a republican Constitution for Britain. Such a move would not affect the rest of the Royal Domain in Canada and overseas. Americans falsely believe that the British Parliament has all authority over the Monarchy — just as they falsely refer to the Queen as the ‘Queen of England’ which is a Title that ceased to exist on May 1st 1707! Even Canadian Media refer to the Monarchy as the ‘British Monarchy’ which really irritates me. I prefer the term ‘Windsor Monarchy’. British Parliamentarians do have things they can learn from Canada as regards how to manage a successful federal country. Just as they mismanaged the Irish file a century ago, they are now mismanaging the Scottish file. I can state that there have been historical occurrences where a British Election was called, and then the House of Commons continued to sit. I recall this happening about twenty years ago. Although India is no longer one of our Crown’s Realms, their Parliament also continues to sit after an Election is called. Canada’s various Fixed-Date Elections Laws basically follow this practice since the Election Date is set, but the House of Commons / Legislative Assembly has not been dissolved. It would actually pose a constitutional crisis if a Prime Minister / Premier refused to advise the Governor to dissolve the Commons / Assembly even though an Election would still take place. The Election would have been held for nothing. I prefer dissolving the Commons / Assembly at the time of the Election call. The American approach of the President / Congress continuing to exercise power for two months after the Election is stupid. This case also shows that Britain is more of a European-style constitutional monarchy than Canada which is a mixture of mediaeval & modern constitutional monarchy. The British Lord Chancellor and President of the Privy Council exercise powers which are reserved to the Crown in Canada and Australia. The Westminster Parliament, and that of New Zealand, is a ‘sovereign’ parliament, but Canada’s and Australia’s are ‘constitutional’ parliaments. Question: Is it right to say that the prerogative power of dissolution is in abeyance? The act itself says that “Parliament cannot otherwise be dissolved,” does not the act render the royal power of dissolution extinct? Dissolution is now an automatic occurence before a polling date. The only role of the crown is to set the date for the next meeting of Parliament or the date for a poll when Parliament votes no confidence or for an early election. Yes, it is right to say that the Fixed-Term Parliaments Act has put the Crown’s prerogative authority over dissolution into abeyance because if Parliament ever repealed the act, then the Crown’s authority over dissolution would, by virtue of the act’s repeal, return to what it was before the statute was ever enacted. We know this based on the historical precedent. The Restoration Parliament repealed the Act Against Dissolving the Long Parliament of 1641, which had also put the prerogative over dissolution into abeyance. Once that act was repealed, the prerogative over dissolution returned. If the prerogative authority over dissolution can survive the Cromwellian Interregnum and the Restoration, then it can survive the Fixed-Term Parliaments Act.